When I started this blog last year, I wasn’t sure what was going to happen. I thought that maybe once Jax came home from the hospital (on his 3-month birthday) that people would stop caring. Even as a NICU parent, I naively thought that once we came home from the hospital, our story would end. Now I know that’s when our story really started. Not only has this blog chronicled Jax’s progress – it’s his baby book – but it’s connected me to others in a way I never thought possible. Through this blog, I’ve met countless other parents who have preemies or who have spent time in the NICU. Everyone’s story is different, but we all have one thing in common: we didn’t expect it. We know what it’s like to be utterly and completely leveled. We know what it’s like to be disappointed, guilty, sad, happy, excited, and angry all at the same time. We can empathize with each other. We can learn from each other. Most importantly, we can support each other. 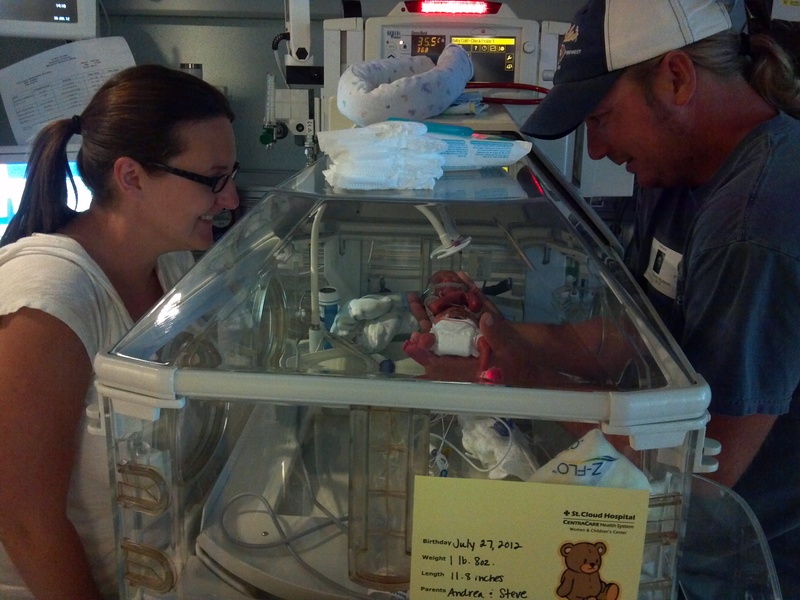 I’m so thankful for all of the preemie parents who have reached out to me on this blog. Thank you for understanding me, when I barely understand myself. The blog has helped me process what happened the day Jax was born; it has helped me heal (although I still have a long way to go). Thank you for your words of encouragement when I write about the not-so-fun parts of raising a micropreemie. Gang – you will never believe this, but the blog reached 1000 followers today. That’s 1000 people reading Jax’s story and sending prayers and positive thoughts when he (and we) needs them. That’s 1000 people raising awareness about prematurity. That’s 1000 people standing by us as we learn what it means to be a family. For some reason, you’ve stuck with us. Thanks.